Filipino-Italian model and entrepreneur Marco Poli, 25, will vie against nearly forty ambitious and athletic men from the four corners of the world at the 2018 edition of Mister Supranational pageant in Krynica Zdroj, Poland. Poli, who hails from Udine, Italy and Matabungkay, Batangas and a member of the U23 Philippine National Football Team, will compete on the platform of sports and health awareness. His advocacy focuses on teaching children to undergo physical training to become proactive and responsible citizens. 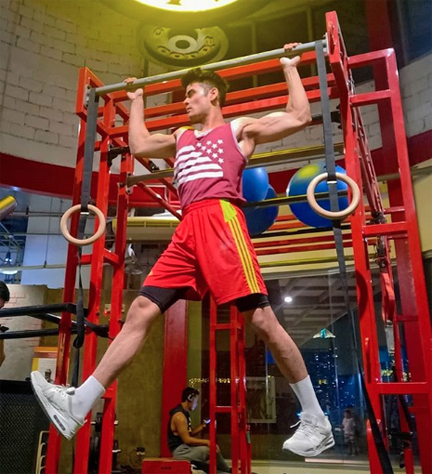 The 6-foot-3 Poli, who is also a fine chef, has been preparing for the competition through intensive physical training and high-definition diet. Marco said that for his preparations, he continued the intensive physical activities and diet he's been on during the national pageant. For the formal wear, casual wear and swimwear competition, he will wear the designs of Adam Balasa. At the pageant, he and his fellow candidates will walk the stage wearing Claudius Scissor collection, by designer Claudius to decide the complementary title-winners of Mister Top Model, Best Body, Mister Personality, Mister Photogenic, Mister Popularity, Best in Formal Wear and Mister Supranational Thermaleo 2018. Filipino-Italian model Marco Poli is a rising football player and a chef. He is currently in Poland representing the Philippines in the 3rd edition of Mr. Supranational pageant. Six Continental titles will be awarded to the delegates who are out of the Top 5 in the final competition, namely, Mister Supranational Americas, Caribbean, Africa, Europe, Asia and Oceania. 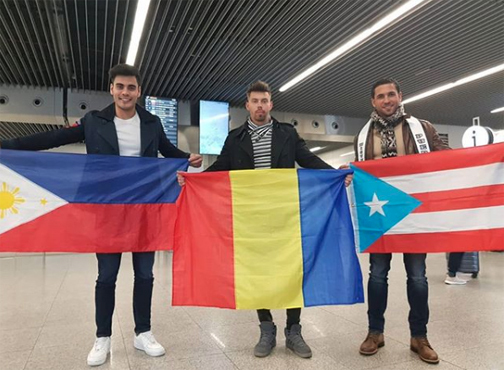 The winner of Mister Supranational 2018 will take home a $12,000 cash prize and other gifts and traveling worth nearly $20,000. Now on its 3rd edition, Mister Supranational aims to revolutionize male pageantry and discover new talent for the modeling and television industries and produce instant celebrities. Venezuela’s Gabriel Correa will be crowning his successor on Dec. 8 in Krynica-Zdroj, Malopolska, Poland. Mr. World Philippines national director Arnold Vegafria has urged Filipino fans to support Marco via the Mister Supranational 2018 online polls.